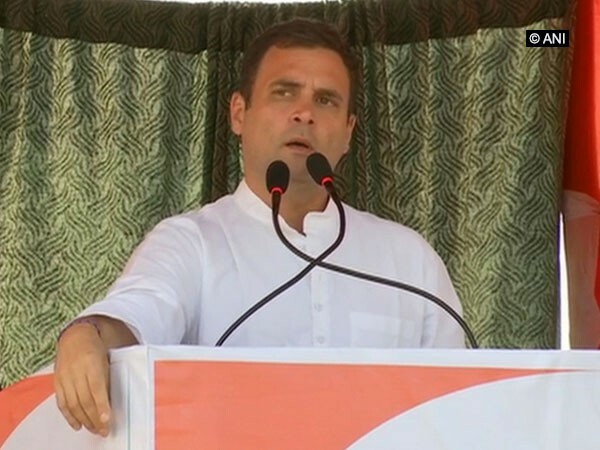 New Delhi [India], Apr 8 (ANI): The Congress Party termed the Bhartiya Janta Party’s (BJP) manifesto as a “bunch of lies”. Speaking at a press conference here, Congress leader Ahmed Patel said, "The BJP manifesto is a bunch of lies and it would have been better if they would have issued an apology letter instead." Patel further compared the cover page of BJP's manifesto with that of Congress'. He pointed out, "The difference between manifesto of BJP and Congress can be seen firstly from the cover page. Our manifesto has a crowd of people, while BJP's has a face of just one man i.e. Prime Minister Narendra Modi." "Instead of a manifesto, BJP should have come out with a 'maafinama' or apology letter," he added. The Congress leader also said, "BJP's manifesto is full of lies and it is up against Congress' NYAY (justice). BJP has been using gimmicks to fool the people and they never fulfil their manifesto. Congress spokesperson Randeep Singh Surjewala said, "The country cannot trust Prime Minister Modi government anymore." 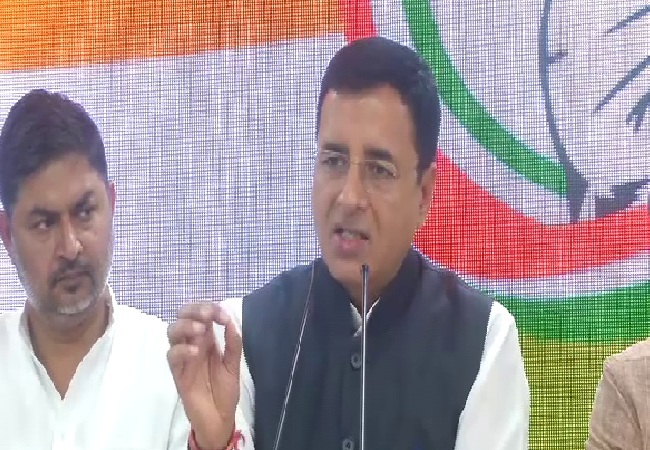 Surjewala cited the comment made by veteran BJP leader Murali Manohar Joshi, who said, "No marks could be given to BJP on their report card as they have not done anything for past five years." Hitting out at BJP, he said, None of the leaders of the saffron party today spoke of job creation in their speech on the manifesto." He further said, "the major points not mentioned by BJP leaders were demonetization, GST, and black money,"
"In 2014, BJP promised 2,00,00,000 jobs per year, but they failed and as many as 4,70,00,000 jobs were lost in 5 years as per NSSO data. The unemployment rate is highest in 45 years at 6.1 percent." he added. Talking about social issues, Surjewala said the BJP has failed to protect the interest of the farmers. He said the incidents of crime against Dalits and women are still a major concern.